It’s 11:48 pm on the second day I am in Jaipur. I want to sleep but I definitely can’t with the explosion going on outside. At this rate, even when my earphone is plugged in and the music is twice louder than usual, I can sometimes still jump from the loud BOOMs outside. Nov 5th, it is Diwali today in India. It is considered the biggest and most festive public holiday in India. You can consider it like the Thanksgiving or Christmas holidays in the US, or Chinese New Year in China. People go home to gather with their families, have feasts, and give presents. I honestly have not been to a truly homey Thanksgiving or Christmas celebration, so I should not emphasized that I have found them to be useless, if not negative. 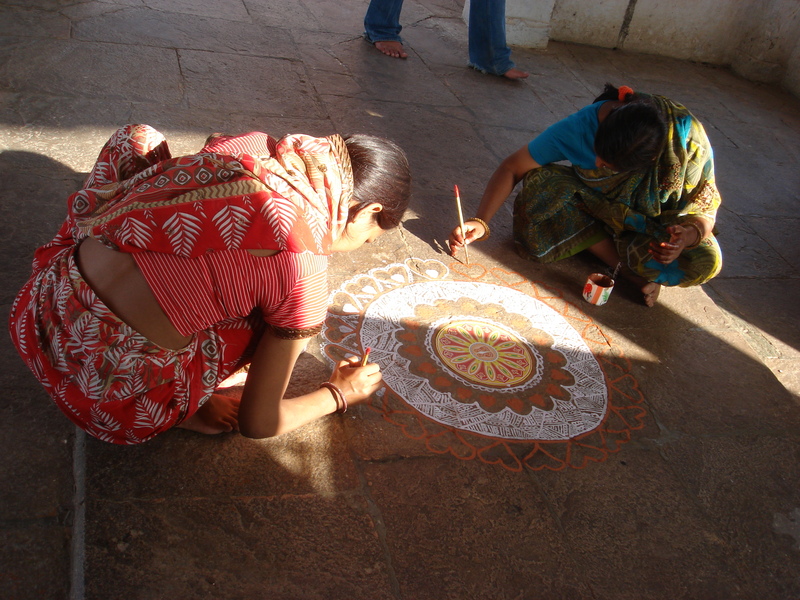 But Diwali celebrations in India seem to be positive, at least from local people’s perspective. They consider it a joy to be with their families, wear new clothes (for those who can afford them), and play firecrackers. 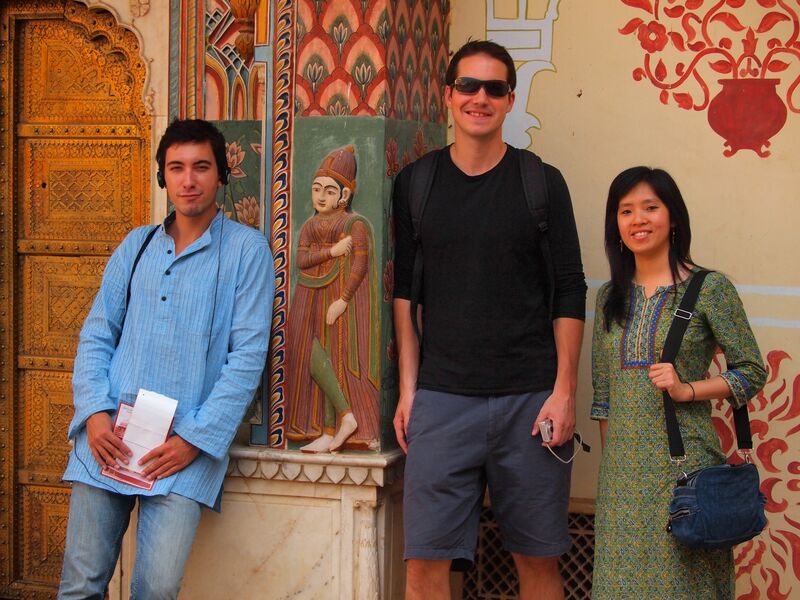 We spent the day checking out the City Palace, the Bazaar, the Monkey Temple, and the Sun Temple. 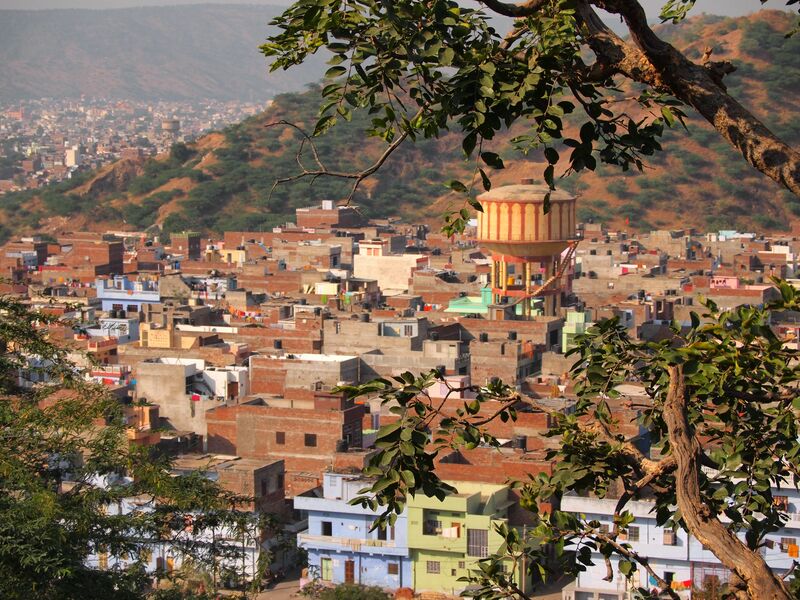 The first two are located within the pink city. The City Palace is pretty huge. There were ornamental paintings around the doors, on the wall, and on the ceilings. There is an area that have four doors, each decorated with the different seasons (autumn, winter, summer, and spring). 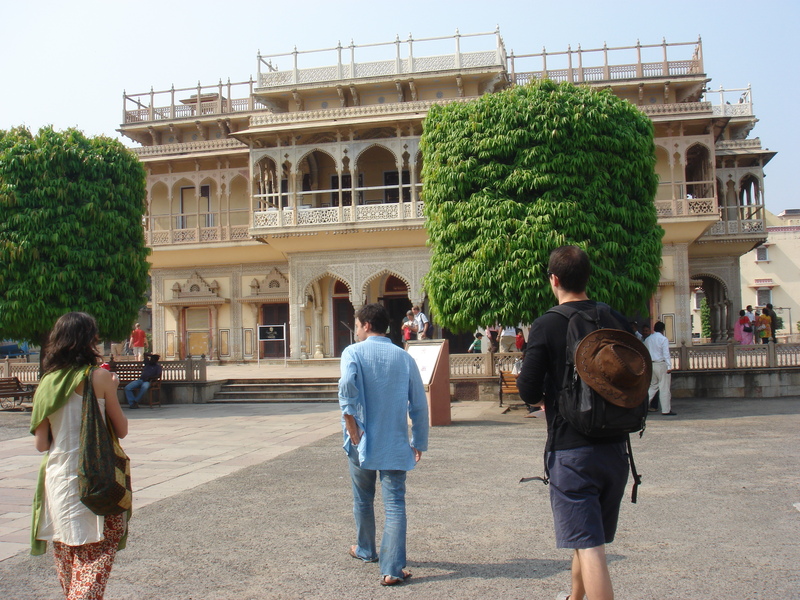 The challenge is to get out of the City Palace and toward the Bazaar. We had to go through a couple of gates while the traffic went the opposite way. We literally crept along the wall. Out of the City Palace, the main street is the Bazaar. It is quite a crazy place. It is shops all along the street: shoes, pharmacy, clothes and accessories (shawls, handbags), restaurants, even tires! Due to the Diwali, lots of kids/teens were selling firecrackers. After having a Rajasthani Thali for lunch at the Bazaar, we continued to the Monkey temple and the Sun temple, about a kilometer out of the pink city. The rickshaw driver totally fooled us and charged 60 Rupees for this trip. It would be only 20 Rupees in Bangalore. 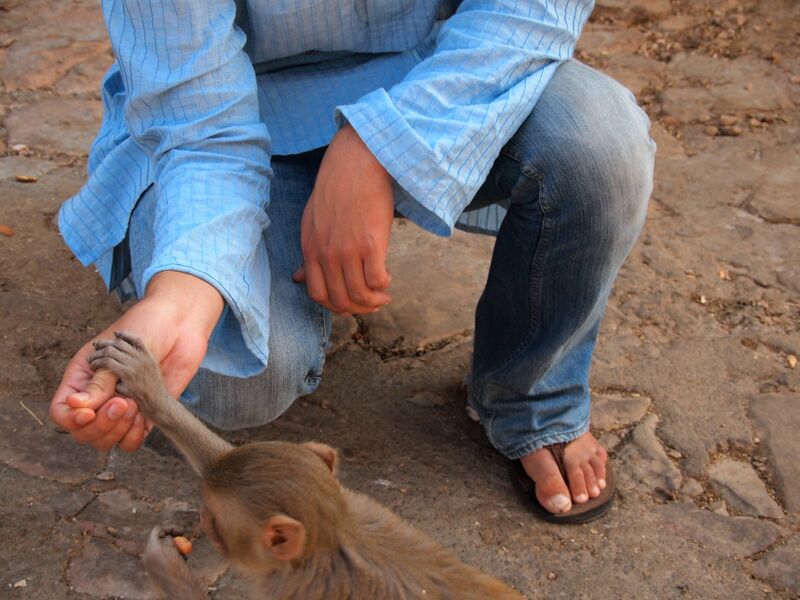 The Monkey temple, as it is named, has a lot of monkeys around. Nolan bought two bags of peanuts and fed a few of them. They were smart and happy with that. The traffic got worse as the night came. 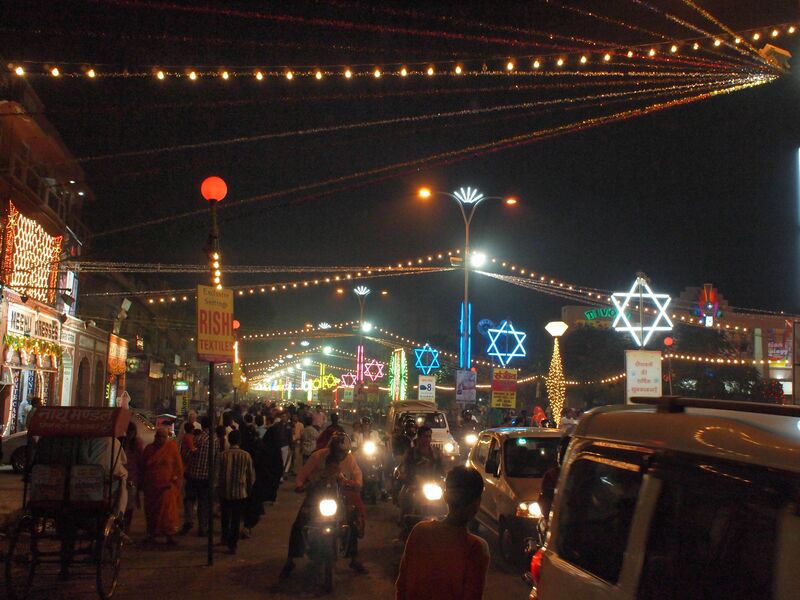 In fact, a wave of people went out to the main streets at night, to celebrate Diwali. Nolan, Julie, and Sam were so eager to see it. I personally did not have a good vibe about it, as I know crowds are usually equivalent to riots and unwanted experience. The city was pretty much down, with most shops closed early. 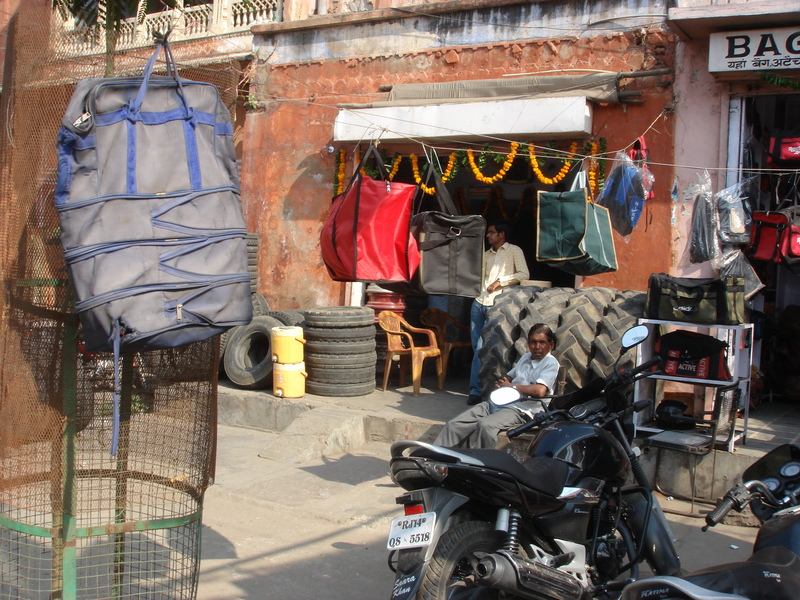 We went around for about an hour with 3 rickshaws before finding a restaurant that was open and willing to take us. 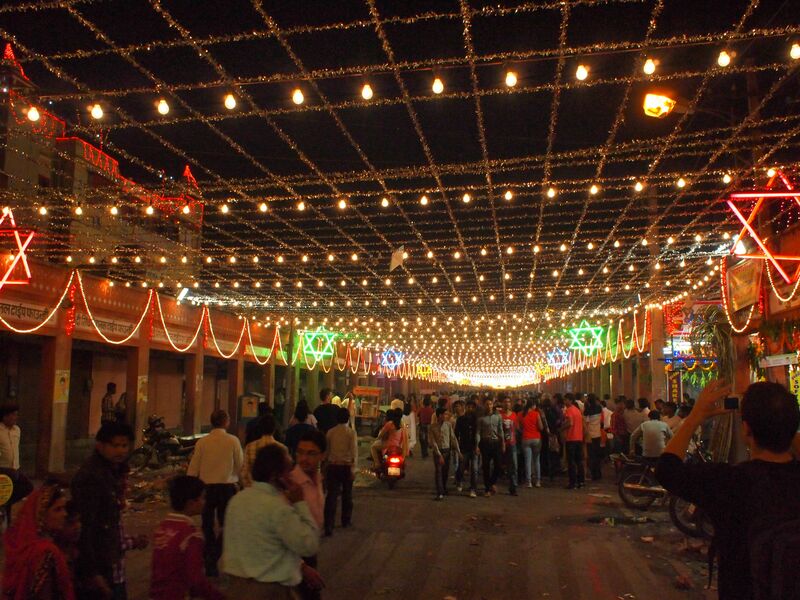 After dinner we followed the lights and crowds towards the Bazaar. The pictures do not do justice. That was a really crazy crowd. Ah, let’s call it a day!